Leonard Kogan lives and works in Baltimore. His works are images of perception; their content fluctuates between the visible and the invisible, the presence and absence. 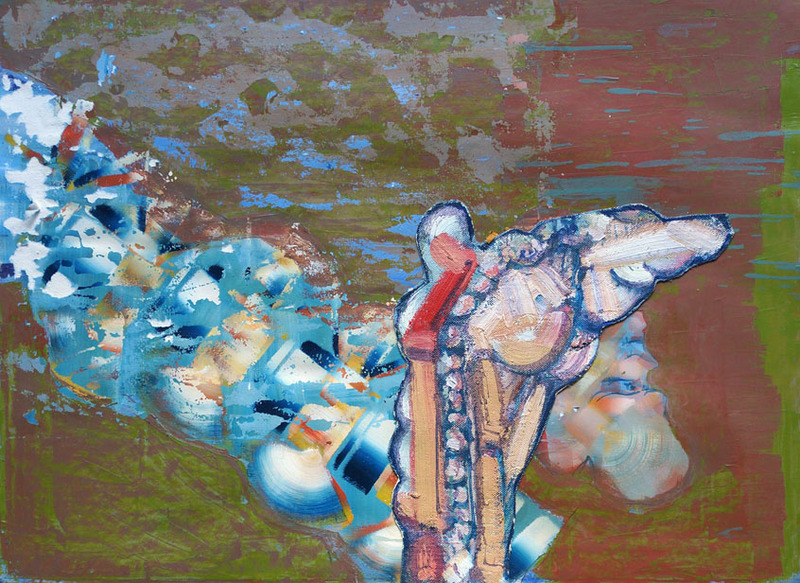 He utilizes eccentric and distress-evoking imagery and uses overwhelming, multilayered, color-sumptuous brushstrokes. He employs dialogical transferences from one mode of representation to another. Associative references and flashbacks are convulsing simultaneously on the surface. The coloristic spectrum in his works ricochets from impressionist’s lyrical palette to formless and lurid psychedelic blotches. By employing impulsive and gestural approach, his works are condensed into energetic densities where forms and images push, usurp, assimilate and dominate by means of color, line and shape.